Why Ronda? This is why... Walk down into the valley in the late afternoon and you'll be rewarded with this view. Oh and that's where we stayed up there on the left. 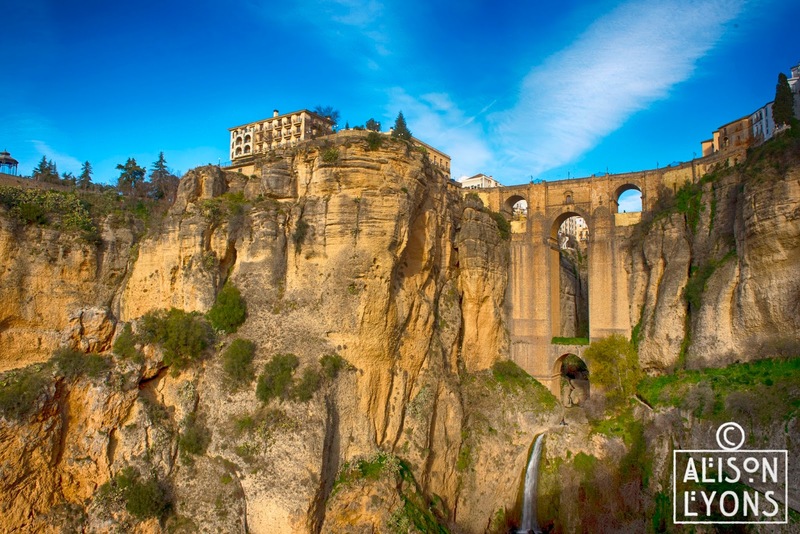 The Parador de Ronda, make sure you ask for a room overlooking the valley. The view is breathtaking.